Zebra Country Lodge offers family-friendly accommodation and excellent conference and wedding facilities in the African bush. Zebra Country Lodge offers guests true South African hospitality in a lush bushveld setting. 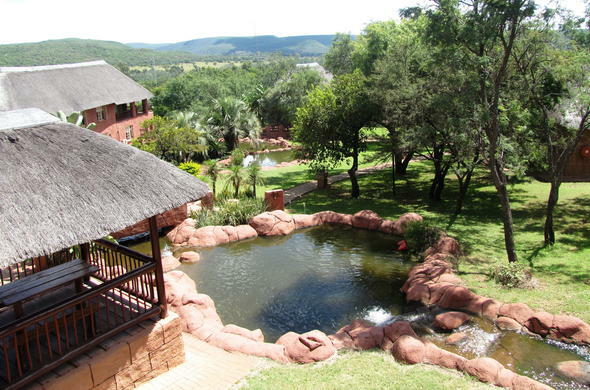 Situated only 30km from Pretoria, this Gauteng country lodge is ideal for a quick bush getaway or romantic getaway. Safari activities include bush walks, game drives and birding safaris. This country hotel outside Pretoria provides guests with a range of family-friendly accommodation options. Choose between the Bush Lodge, Mountain Lodge and the Zebra Stables. Guests staying at the Zebra Country Lodge can look forward to a range of fun family activities. Enjoy nature drives and walks or mountain bike through the reserve. Visit the Ndebele Cultural Village or cool off in the swimming pool. Zebra Country Lodge is also the ideal venue for dream weddings. Paul's Kruger's historical hunting house and its chapel creates the perfect wedding venue. The lodge also boasts 4 conference venues for up to 300 delegates.